When I say Mighty you say Mystic..! Mighty! Mystic! Mighty! Mystic! : Is the triumphant chant that echoes from the crowd as Mighty Mystic walks on stage. With Mic in hand Mystic begins to sing “He who runs away will live to fight another day”, the crowd erupts like liquid flame from a volcano. Mighty Mystic has arrived and it was worth the wait. However the story of Mighty Mystic did not begin there, it began some twenty plus years ago in the country side of St. Elizabeth, Jamaica. Mighty Mystic was born Kevin Mark Holness to parents Morris and Sonia Holness. 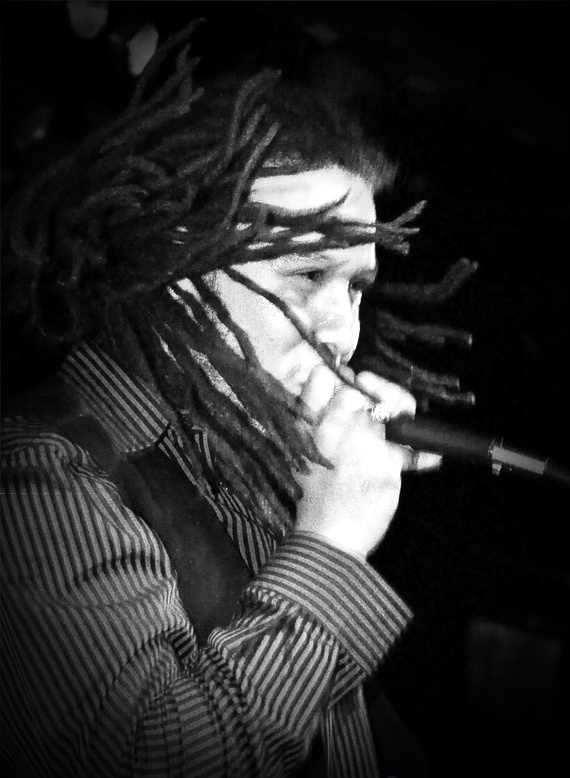 As a child young Mystic showed early interest in his native island’s music. It was common to hear Mystic singing songs like “Buffalo Soldier”, “What the Hell the Police Can Do” or hymns sung in Sunday morning Church. It wasn’t until some years later when his family relocated to Boston that Mighty Mystic began to wet his feet in the local music scene. After several years of developing his craft and several small scale releases Mighty Mystic teamed up with producer Mike Cip to develop Mystic’s first National/International venture. The duo wasted little time and scored a hit with their first release “Riding on the Clouds” in 2006. “Riding on the Clouds “was received with tremendous accolades and stood on top of Reggae charts both nationally and internationally for the following 2 years. Mystic continued on his early success with the release of “Better Times”, “Fire Town”, and Revolution, all of which gained Mystic great notoriety and opened the eyes of music lovers towards Mighty Mystic. For his efforts Mystic would earn several “Artist on the Rise” and a dozen “Best new Artist” Awards proving that Mighty Mystic was making great strides as a one of the young artist to watch out for. Mighty Mystic’s early success landed him on his first national tour which opened Mystic’s eyes to the world around him. Mystic returned from the tour more passionate and devoted than ever and immediately threw himself back in the studio. Over the next six months Mystic and Producer Mike Cip recorded, mixed and mastered over 80 songs for Mighty Mystic’s next project. Mystic would emerge with a diverse catalog and a more universal sound along with another key element, the element of a band… The first release off this new project came in Nov, 2008 titled “Here I Am” Ft Reggae Pop Icon Shaggy. The song was an instant success and could be heard in the clubs, College and Urban Mainstream Radio as well as been seen on TV such as MTV JAMZ. Mystic kept the good vibes flowing with the 2009 release of “Slipped Away”, “Free”, and “Hero”. Mystic’s new sound and musical diversity proved to be a magnet for music lovers who were in search of something refreshing and as a result fans began to pour in from all walks of life. Mystic has managed to do something that few Reggae artists living in the U.S have ever done; he has been able to have and maintain an ever growing and thriving career with devoted fans despite not living in Jamaica. Mighty Mystic can be described as a charismatic man on a mission; he’s gone from being a fan of Reggae to a contributor of the art. His diversity has allowed him to cultivate a wide and loyal following.